For anyone who has considered the migration of their Joomla 1.5 website to Joomla 2.5, it is most likely a desirable yet daunting thought. What if everything changes? What if you have to recreate every article and module? These are fair and justified questions. Sites that have hours of time and energy—and oftentimes thousands of dollars—poured into them can possibly change significantly…leaving clients and designers, alike, mortified. Global Creative Studios has experienced this change first hand. GCS knows the anxiety that comes with designing a website, having it ready to launch and go live, and then needing to recreate it after a Joomla migration goes awry. The first thing you need to do is check what version of Joomla your website is currently built and functioning on. To do this, simply login to the backend as an Administrator. On the top right hand corner of the screen, it will display 1.5 or 2.5. * One of the most important things you can do is backup your current website before updating to Joomla 2.5. Should your website happen to change dramatically with the migration, this backup will allow you to revert to Joomla 1.5 and allow your website to function properly while you troubleshoot and brainstorm how to migrate every module, article, etc. 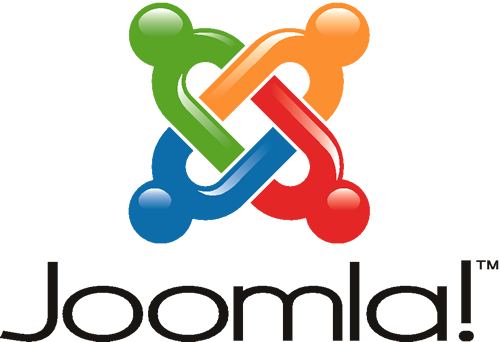 to Joomla 2.5. Joomla will not be creating any more extensions for versions prior to 2.5. This means that if you want an extension for your Joomla 1.5 site and one is not available, Joomla will not be creating a module to fit your 1.5 needs. The upgrade from Joomla 1.5 to Joomla 2.5 is a dramatic difference. If you have modified any core files, these most likely will be lost. You will need to make these changes in the new version of Joomla 2.5 by hand. If you do not have experience or knowledge to do this, the negative changes to your website will cause it to function incorrectly. This is another reason why a backup of your site is so important. Some modules may not transfer over cleanly, especially if the site has been significantly modified. This is why it is important to have a web developer with extensive experience in Joomla to update and migrate your website. Using a software migrator: If your website has any foreign languages within it, they may not be transferred over. Some people have to open up files and rewrite everything in the proper language. Some people also experience issues such as strange characters that appear within their site. Many sites that have been heavily modified experience huge, unexpected, and unwanted changes in their website, such as placement of modules, content, etc. Using a human migrator: Rather than enduring the time it takes to sit through a video tutorial and training session, GCS’ talented programmers have the Joomla CMS knowledge to upgrade and migrate Joomla sites from 1.5 to 2.5. GCS’ human migrators ensure that every module is transferred correctly and functions properly on the new site. Global troubleshoots each problem as a team, which provides a creative think tank for our clients. If you want further information on the migrating of your Joomla site, please do not hesitate to call Global Creative Studios at toll free: (888) 205-7005. Our representative is more than happy to answer your questions and address your concerns!